Sauntered and snoozed, panted and peed, barked and bounded. And the suspicious scents of sundry others of his canine kind. And the rough, rough, rough and tumble, rumbustious squealing joy of children. And conquering long-legged simpering heat radiating females. A new generation of cats slink unchallenged. 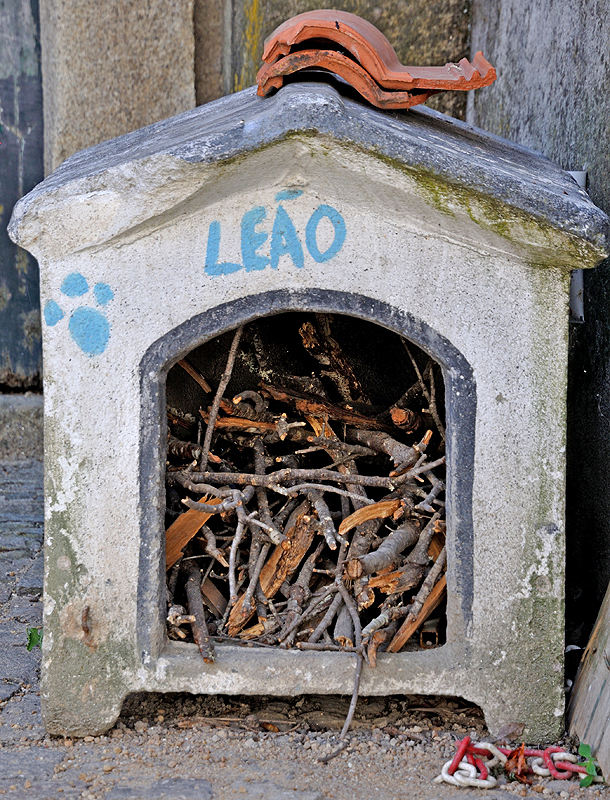 For long-tongued Leo, long gone, is now just a blur in two dog-eared snapshots. On his kennel, his proud name fades in sunlight fierce as a lion. There is something special about places where people have managed to survive in the interstices between boulders. 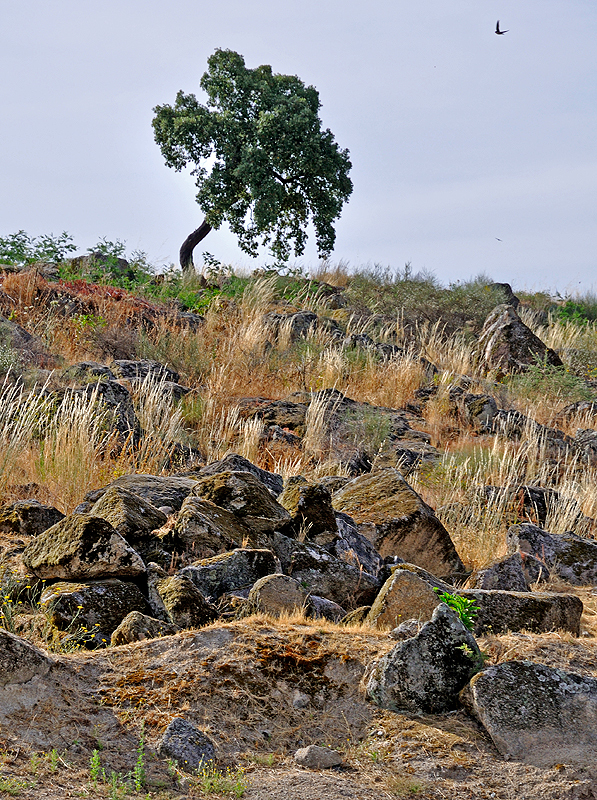 There is something special about the people who have managed to survive in the interstices between boulders. 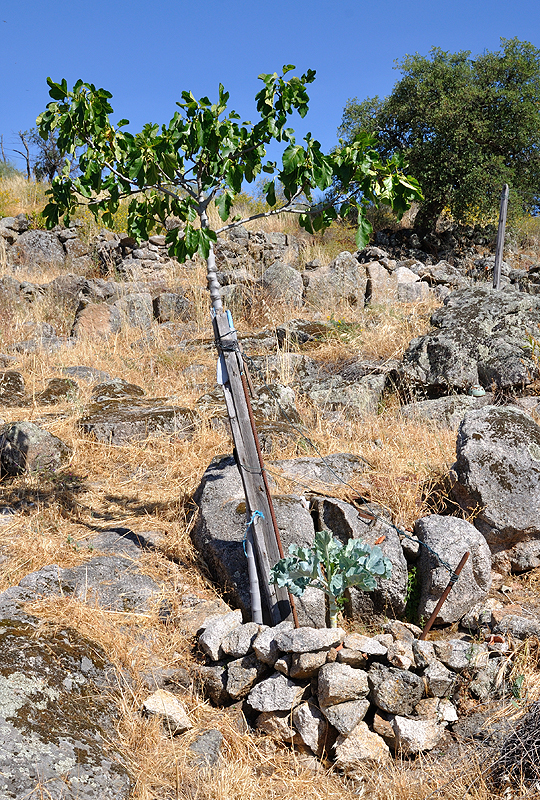 A fruit tree and a single brassica share the same pocket of soil, carefully protected by a little stone wall. Portugal is a country where wonderful flowers blossom in profusion in gardens and hedges. 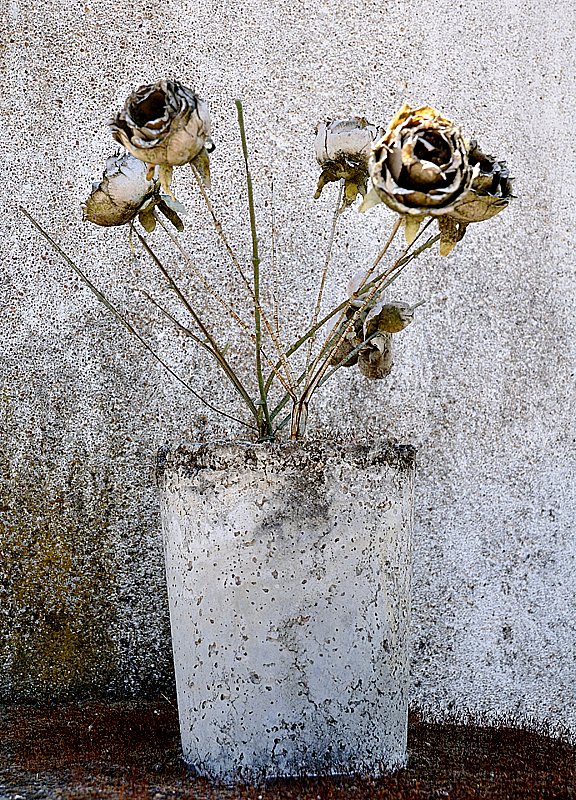 Portugal is a country where one can find plastic roses growing in a concrete pot. Here I am in the Stone Age, which is, of course, today, and will be tomorrow. Despite the rise (and fall) of many other natural and human-created materials, stone is still with us, and will out-survive us far into the future, even if ground down to grains of sand. 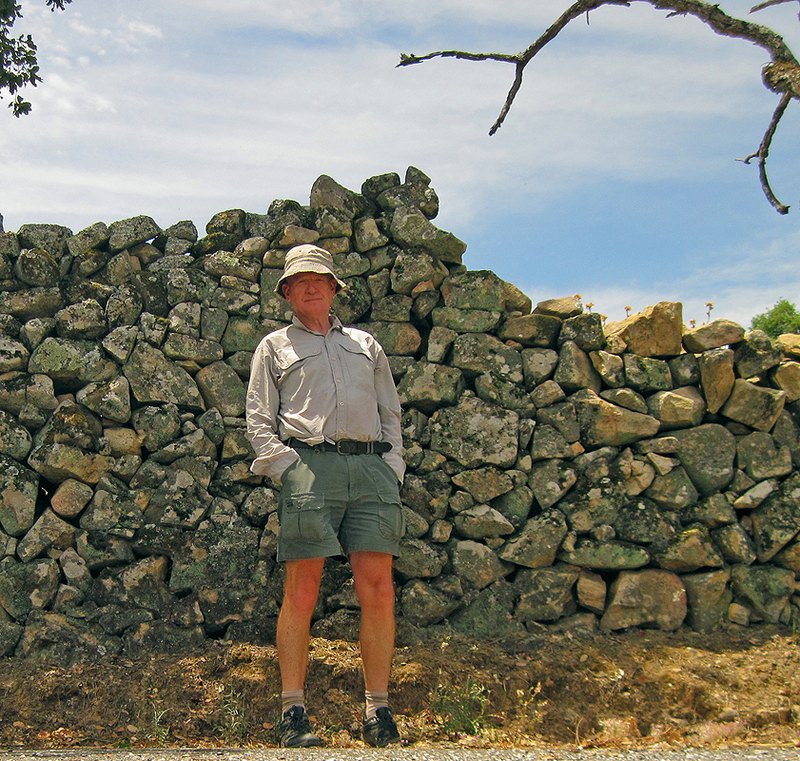 I am in Portugal, and I’m looking at Material Memories, and my first thoughts are about stone.